This is Bethany. She is Elizabeth's fairy sister. 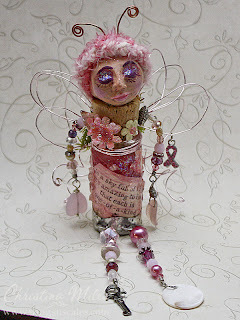 In November she and Elizabeth will be for sale at the "Girls Night Out" event. I am hoping to have several more of her sisters made up by then. 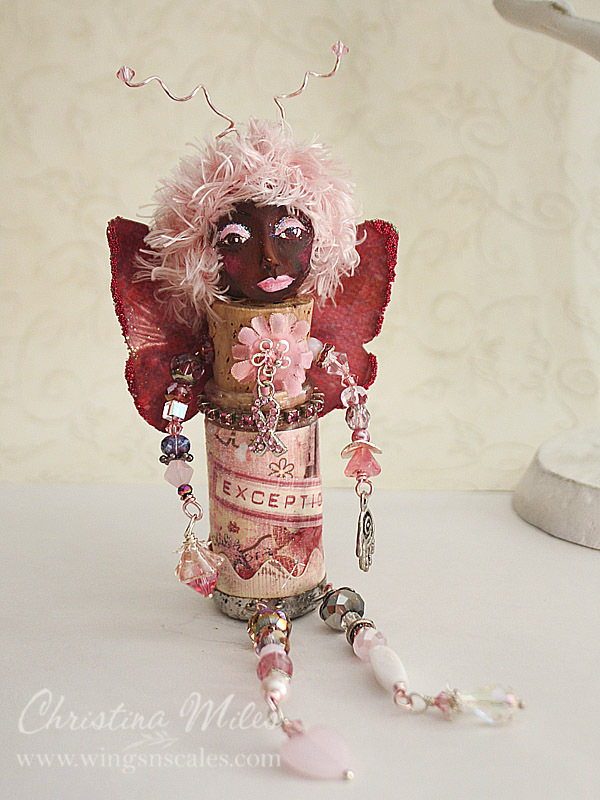 Elizabeth is new to my collection of bottle dolls. 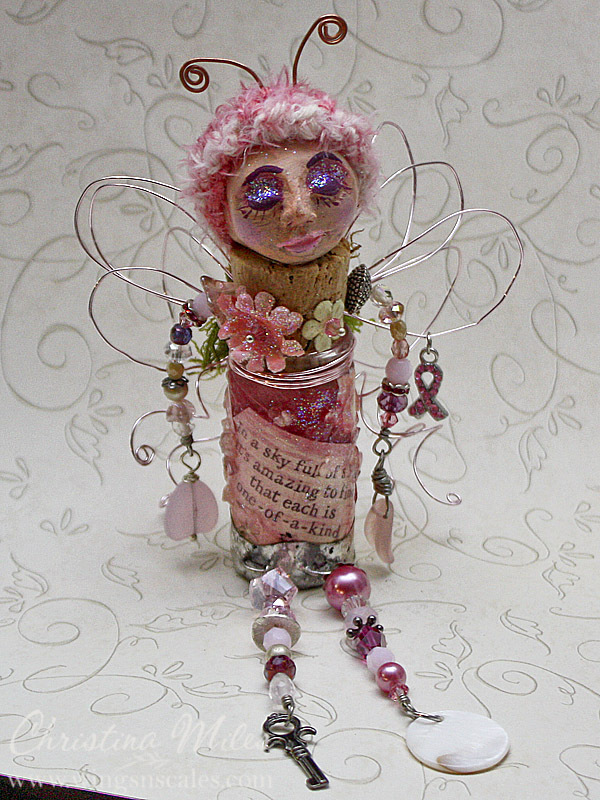 She has been made for a Breast Cancer Awareness event I recently participated in. 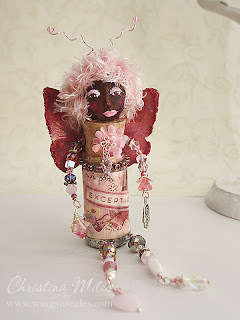 I do have a tutorial on how to make my bottle art dolls available on my Hand Made Artist shop if you are interested in learning my technique. 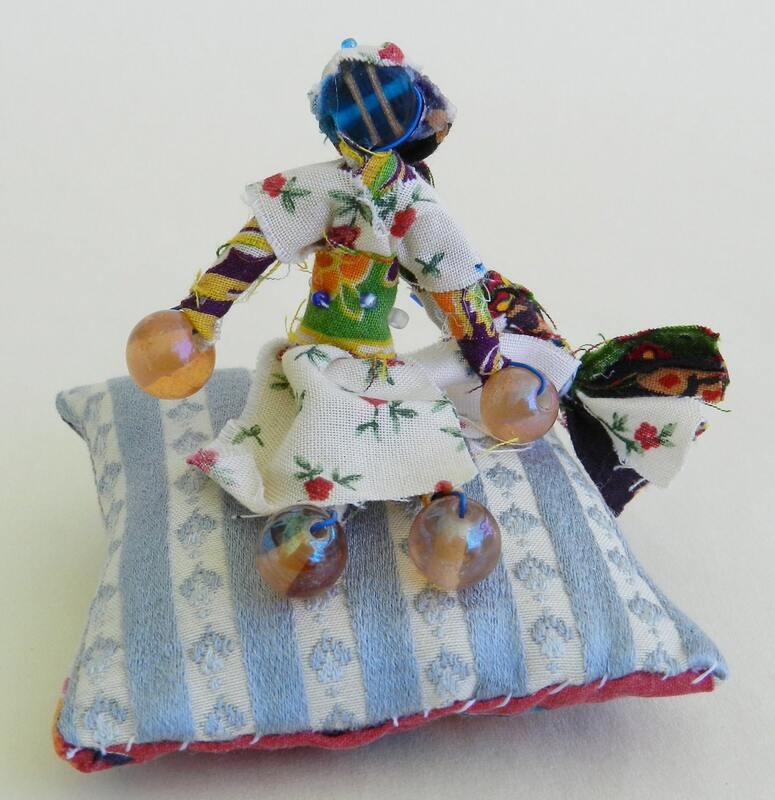 This poseable Wish Doll wears a pretty country style floral print on a cream background dress and comes with a musk oil fragrant sachet pillow. 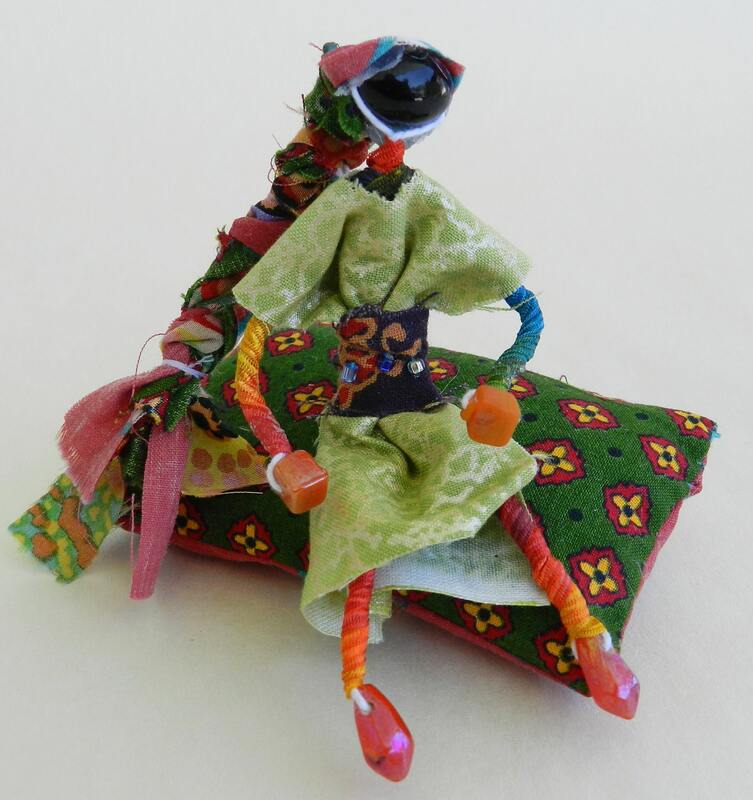 This poseable Wish Doll wears a leaf green and gold print dress and comes with a musk oil fragrant sachet pillow. Her sash is a vintage Indian screen print, while her body is wrapped in rainbow ribbon. I like her pointy toes, like a tiny dancer. 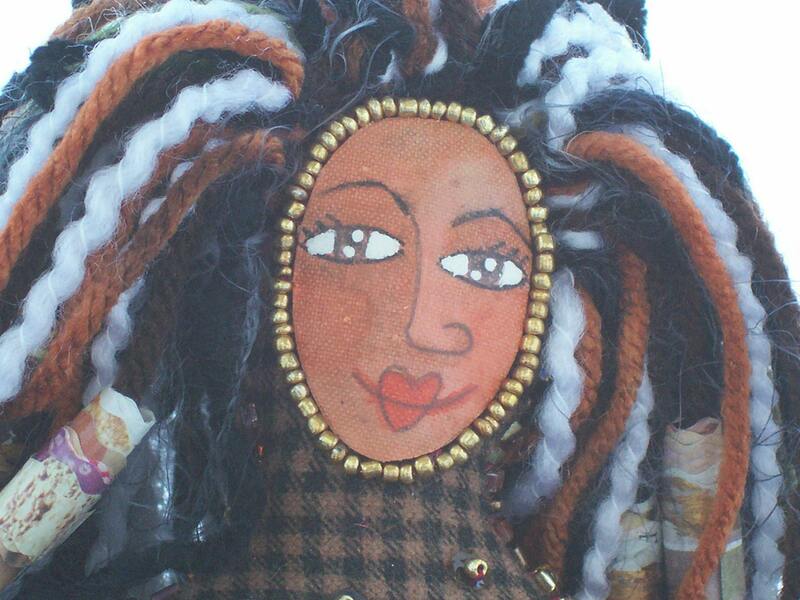 This poseable Wish Doll wears a pale green dress and comes with a musk oil fragrant sachet pillow. Her dress is made from repurposed vintage kimono silk. 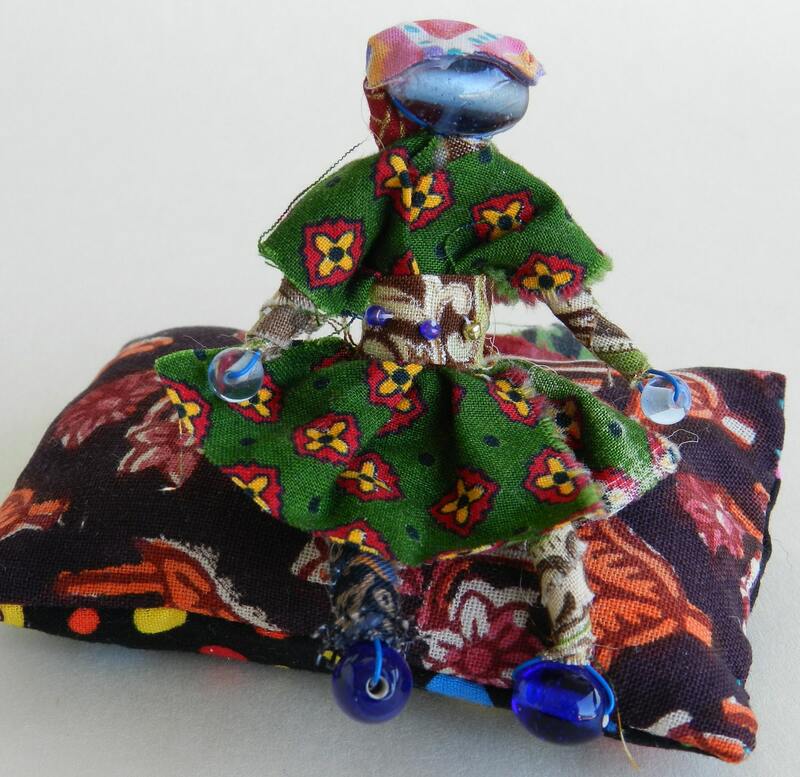 This poseable Wish Doll wears a green and red geometric print dress and comes with a musk oil fragrant sachet pillow. Her sash is a swirly print with a hint of metallic gold.